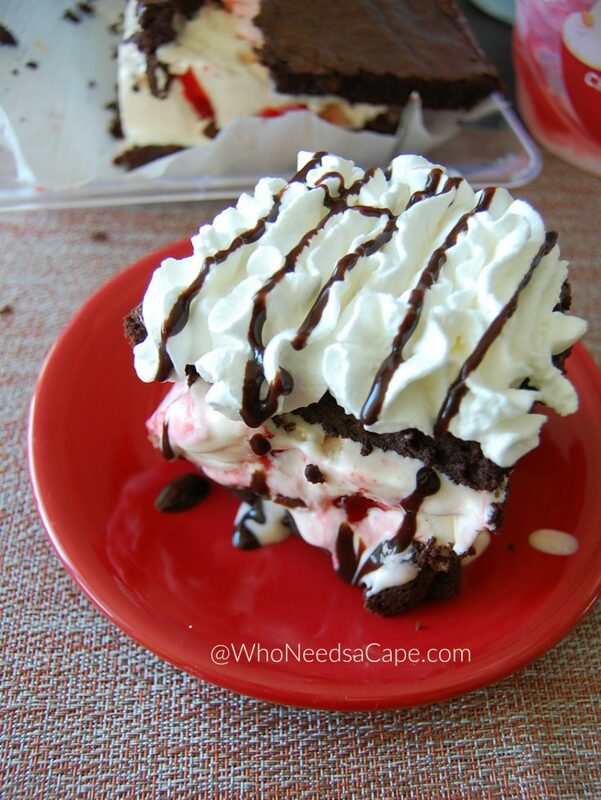 Brownie Ice Cream Sandwich - Who Needs A Cape? 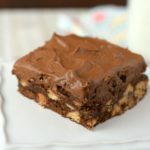 Brownie Ice Cream Sandwiches are a decadent yet oh so simple dessert treat perfect for hot weather enjoyment. Great for chocolate lovers! After a long, and I mean long winter I cannot tell you how happy I am to see the first signs of spring emerging. Green grass, flowers, warmer temps they are all very welcome, I’m eager to get outside and start enjoying. So are my kids, they can start heading outside to play which is a huge sigh of relief let me tell ya! Get out there kiddos and get some fresh air. All that playing though brings my kids back indoors with some hearty appetites! Can’t complain though, all that playing burns off excess energy, hearty appetites are a fair and welcome trade-off and boy do I have a treat in store for my kids. Why not celebrate spring with our very first ice cream party of the season? Ice cream and warm weather just go hand in hand, so why not have a special treat to celebrate the warmer temps? 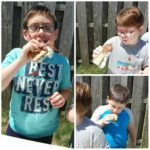 I envisioned a layered Brownie Ice Cream Sandwich for our celebration. With a pan of delicious homemade brownies, (you won’t regret this touch…worth the extra five minutes trust me), a carton of Blue Bunny® Cherrific Cheesecake Ice Cream, whipped cream and chocolate syrup you’ll have the components for one truly decadent ice cream treat at home. Now you can choose to use any variety of Blue Bunny® Ice Cream, as there’s so many incredible choices. 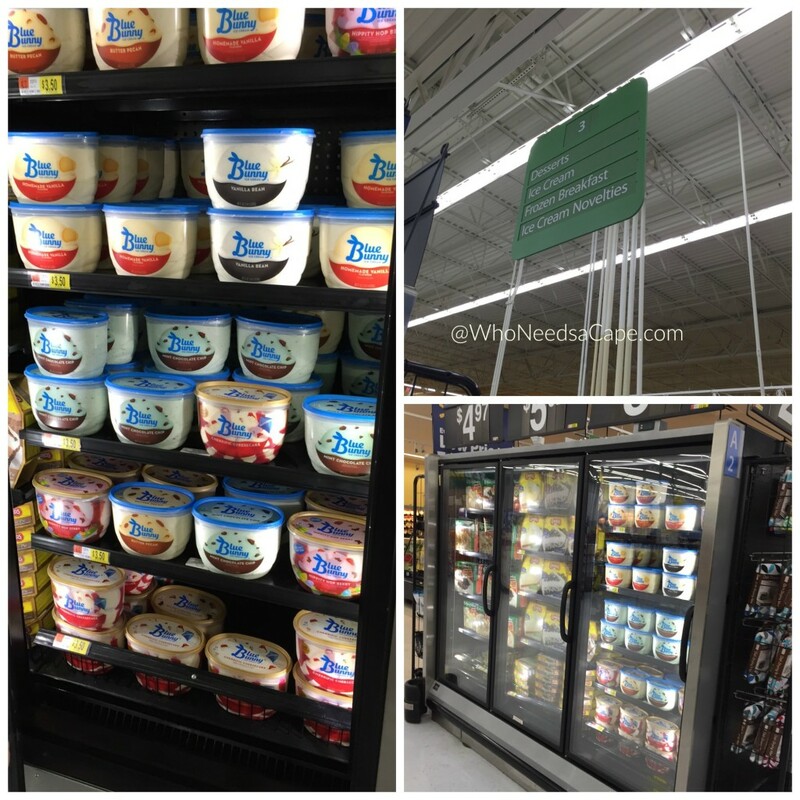 I specifically chose Blue Bunny® Cherrific Cheesecake while shopping at Walmart because I could see the amazing swirls of cherry goodness through the new clear containers. Don’t you love seeing exactly what you’re buying? I sure do! While I was there? 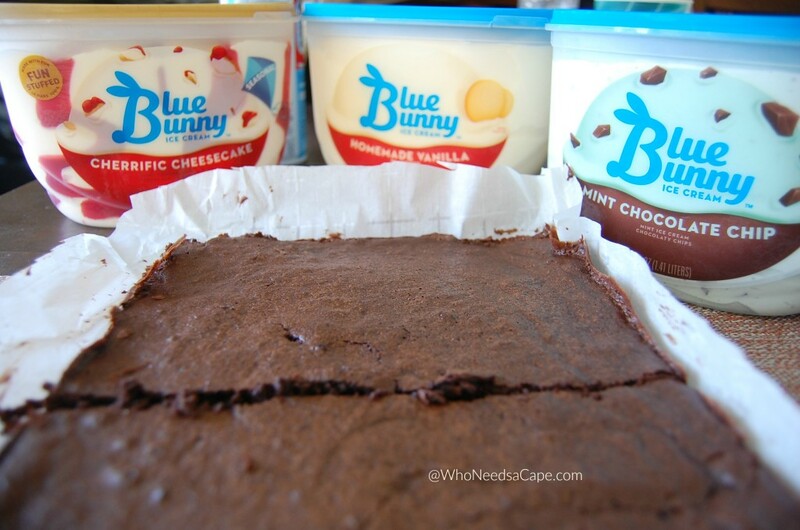 I also bought Blue Bunny® Homemade Vanilla & Blue Bunny® Mint Chocolate Chip (my boys FAVORITE). Delish! Now let’s get to the deliciousness, shall we? You’ll find a printable version of this recipe below also! But first we start with the ingredients you’ll need. Preheat oven to 300° degrees. Line 9×13 baking pan with parchment paper. 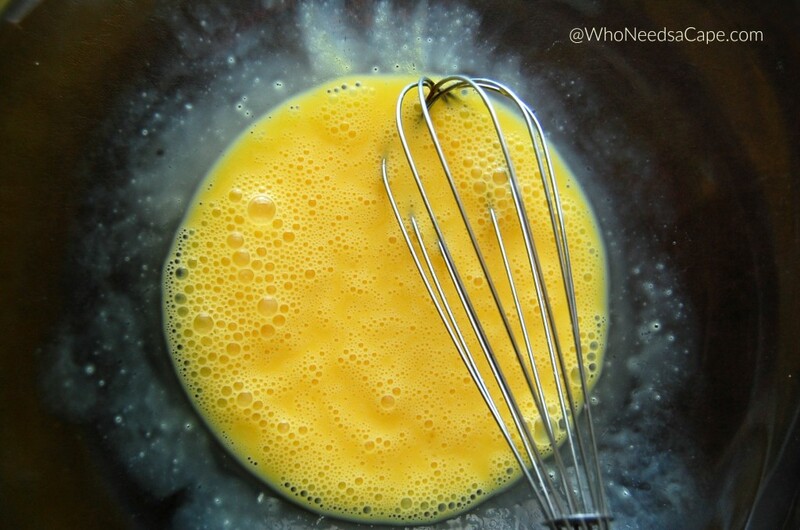 In a large bowl, whisk eggs until they are well blended. 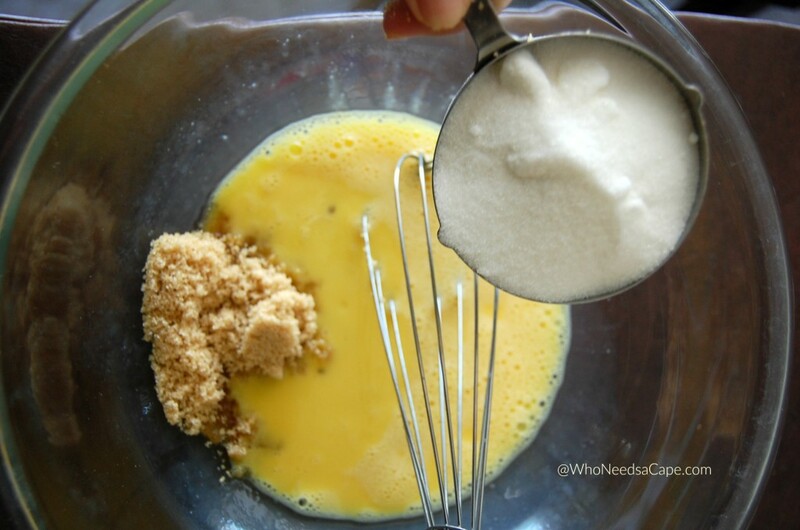 Add both sugars and whisk. Add melted butter and whisk. 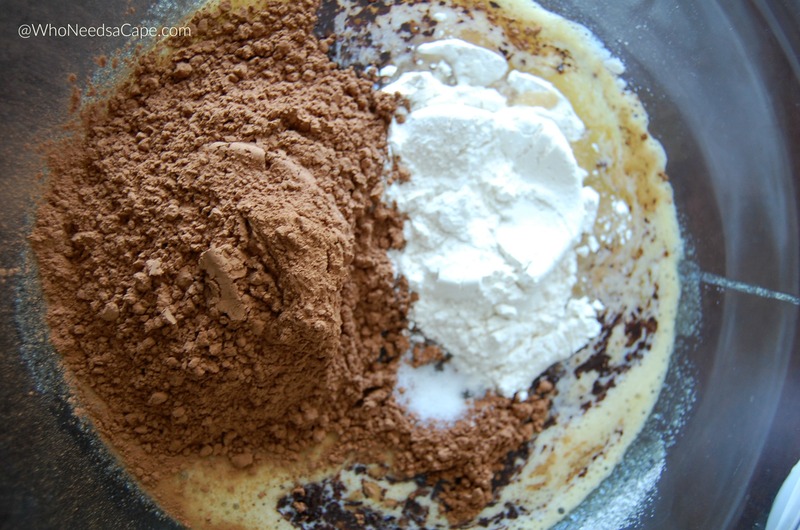 Add remaining ingredients and whisk. 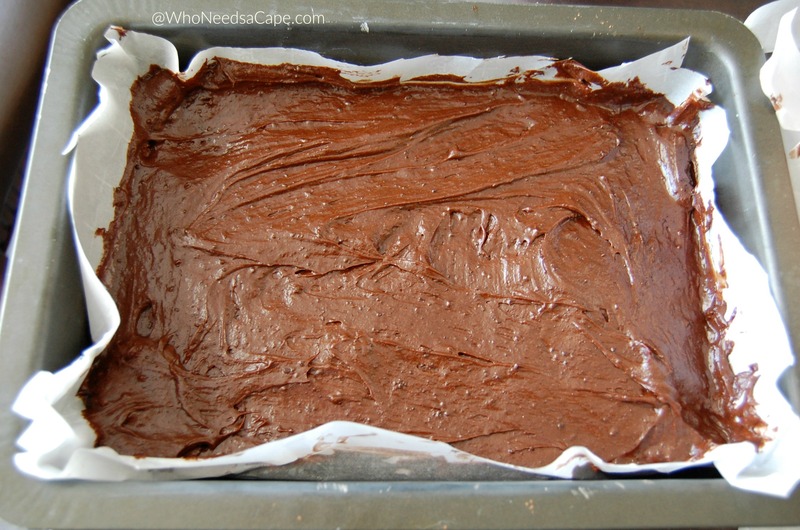 Pour mix into lined baking pan. Bake for 30-35 minutes (until you get a clean toothpick). Let cool completely before cutting. Once cooled cut Brownie in half. 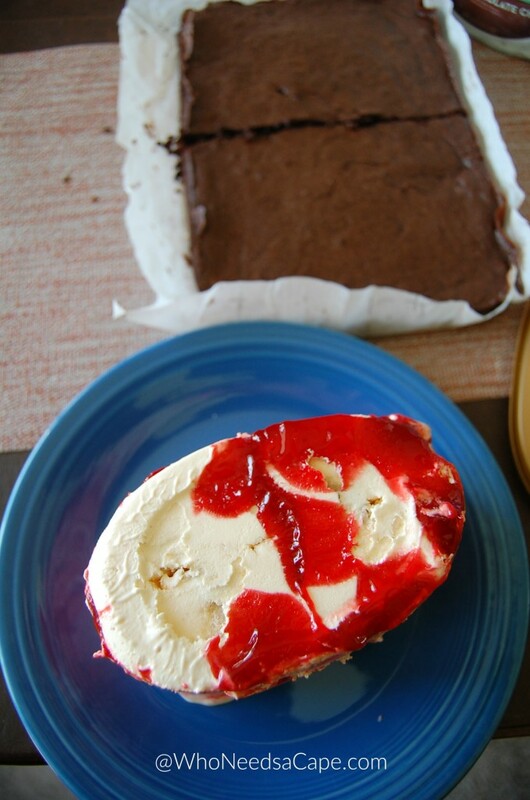 Take out Blue Bunny® Cherrific Cheesecake from freezer. Pop out of container onto plate (if you use a large knife around the edge it will pop out in one piece). Slice desired thickness of ice cream for sandwiches. Slice desired thickness of ice cream for sandwiches. 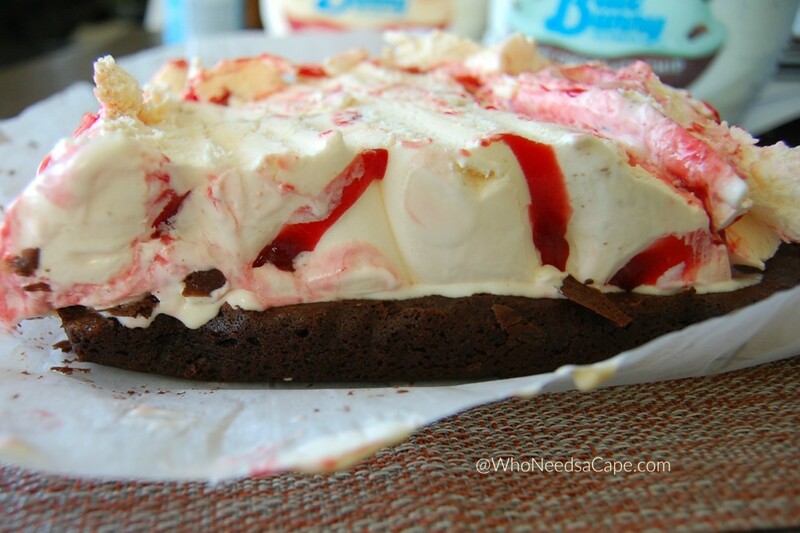 Place ice cream on one half of brownie. Top Ice Cream with other brownie half. Cut and Serve immediately OR leave uncut and pop it back into the freezer. Now that I have you completely drooling, what’s your favorite Blue Bunny® Ice cream flavor? 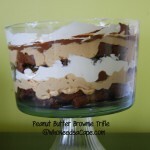 Next time I make this scrumptious dessert, I plan on using Salted Caramel Craze! Mmmm, I cannot wait! Yes, please, I’ll have what YOU’RE having! That ice cream with those ribbons, looks AWESOME! I’m not going to lie – it was amazing! You have to try! The brownie ice cream sandwiches look so good. 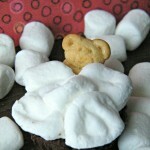 I can’t wait to try it but i was wondering, can you use another type of chocolate for the brownies besides the cocoa? My family doesn’t like the taste of it in desserts. 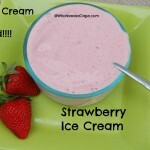 Thank you for posting such a great summer dessert. You know what would be great with this? A blondie of some sort! 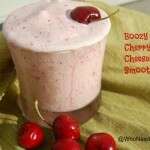 would go great with the cheesecake ice cream – search on here – we have some great ones! Thanks, I’ll have to take a look and try that. I can’t wait to get started on these. Thanks Heather! My family gobbled these up! That looks amazing – what a treat! Love BB ice-cream – so creamy! 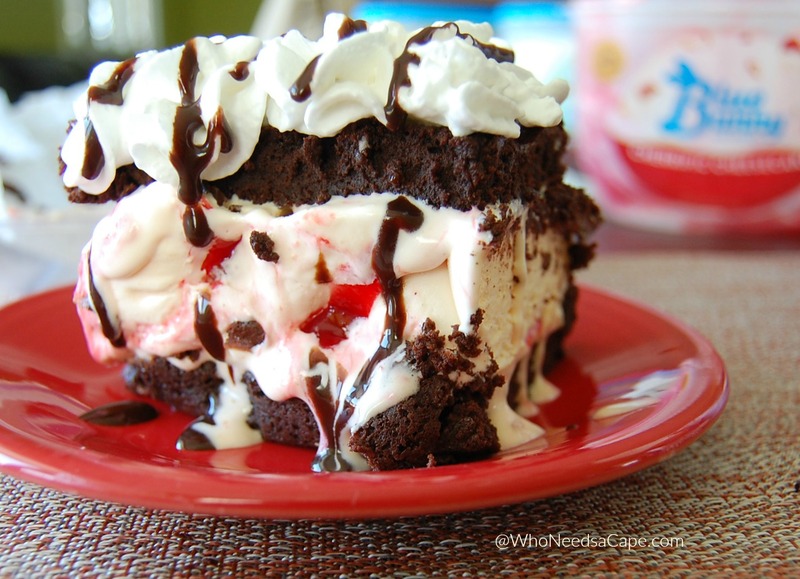 I see scrumptiousness all over this awesome dessert! Yum! Oh my, you have me craving brownies and ice cream. This is amazing. Oh my goodness YES PLEASE! I need this in my life! OMG! I want this now!!!! 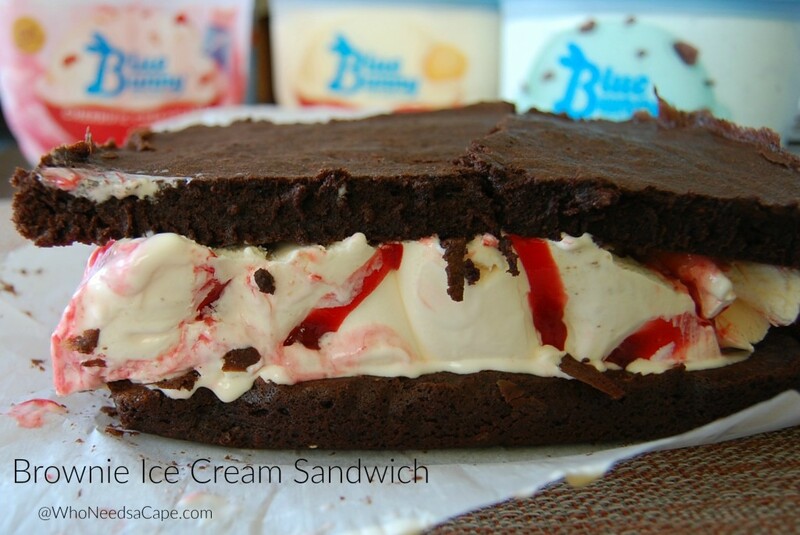 This brownie ice cream sandwich looks yummy! When we were in US, we would always get Blue bunny ice creams. It will be either Blue bunny’s Birthday party one or the red velvet flavour.